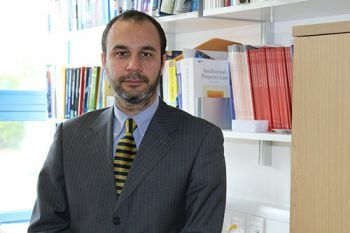 Senior Lecturer in The City Law School, Dr Enrico Bonadio, says this case confirms once again that the copyright system needs to be amended in order to avoid works apparently belonging to the public domain from being monopolised. It’s probably one of the most well-known songs the world over: “Bon anniversaire”, “Tanti auguri a te”, “Happy birthday to you”. And for the past 80 years it has been under copyright, which is now owned by the publisher Warner Chappell. They earn an estimated US$2m a year from royalties, which are paid for the right to use the classic song in films, television, radio, advertising. But a court challenge could soon change all this. Filmmaker Jennifer Nelson, who was making a documentary about “Happy Birthday” and its long history, filed a lawsuit against Warner Chappell in 2013 in the US. The suit followed a charge of US$1,500 to use the song in the documentary. As well as seeking the return of this charge, Nelson’s case is fighting for the song to be declared part of the public domain. The song’s history dates back to 1893 when two sisters, Patty and Mildred J. Hill, introduced it to Patty’s kindergarten class in the US state of Kentucky. Students then apparently began spontaneously singing it at birthday parties, changing the lyrics to “Happy Birthday”. Copyright was registered in 1935 after another lawsuit over its usage. But now the copyright is under threat from new evidence that shows the song printed in a songbook from 1927. As this was an authorised publication, which took place without copyright notice or symbol – the argument goes – under the US copyright law of the time the melody and lyrics must be considered as part of the public domain (current copyright law does not require such formalities: protection is automatically acquired upon creation of the work). The only copyright still left would just protect certain specific piano arrangements of the song and additional lyrics that are not in common use. Should such evidence be considered relevant, the US court could soon make a decision that throws out the decades-old copyright for “Happy Birthday”. Naturally, this would constitute quite a blow for Warner Chappell as the song would become freely usable, even commercially. Plus, the company might be forced to pay back millions of dollars to refund the people who have recently been licensed the song. It’s difficult to predict which decision the court will make. What is certain, however, is that this case highlights the excessiveness of the copyright system. Many will wonder whether it is really fair to continue protecting one of the most famous songs in popular culture for more than 120 years after the melody was first composed. In fact, the enduring protection is due to some technicalities of copyright law, including an extension of the copyright term granted by the US Congress in 1998. This increased the length of time that works remain protected under copyright and has been nicknamed the Mickey Mouse Protection Act as it contributed to keeping the cartoon copyrighted for several more years. If Nelson’s lawsuit is unsuccessful, the song’s copyright will not expire in the US until 2030 (though it will enter the public domain in the EU by December 31 2016). Copyright protection is good if it encourages the making of creative and artistic works. Yet one may rightly wonder whether such a monopolistic right turns out to be unjustified when copyright is “surgically” extended after the work is created and a disproportionately long protection is eventually secured. There is also an argument that the Hill sisters drew on melodies and lyrics of other 19th-century folk songs. It lends itself to the idea of a freely borrowed melody, lyrics and title, used and rearranged throughout the century, which has then been monopolised and profited on. We could even go as far as saying it is an affront to free speech. The song is performed by millions of people everyday and yet film directors rarely show complete singalongs of “Happy Birthday” in movies, either substituting it with other public-domain birthday-celebrating songs or avoiding the song entirely. This case confirms once again that the copyright system needs to be fixed in order to avoid works that seem to belong to the public domain from being monopolised. It is no surprise that the “Happy Birthday” case was used as a prime example by US Justice Breyer when arguing against the 1998 extension of copyright protection. In his argument, “Happy Birthday” was a clear case of an overly-generous protection of copyright – and the law may soon back him up.